Sorry, is what real? What exactly are you referring to? We have never liked poly and for the past decade and a half, we have totally gone against the industry direction and have been trying to eliminate it completely for 100% of our designs and products. Why do you think we are using poly? Please clarify your post. Thank you. 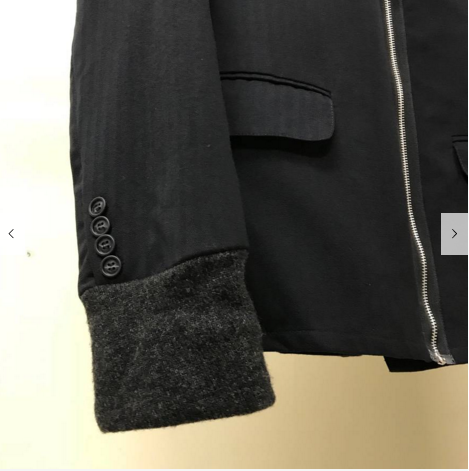 My post had a link to an online listing to an older garment of yours that was made with poly. I thought your brand hadn't used poly and was confused if there were fakes/replicas of your older clothes. Thanks for the clarification! Last edited by Geoffrey B. Small; 03-11-2018 at 06:04 PM. 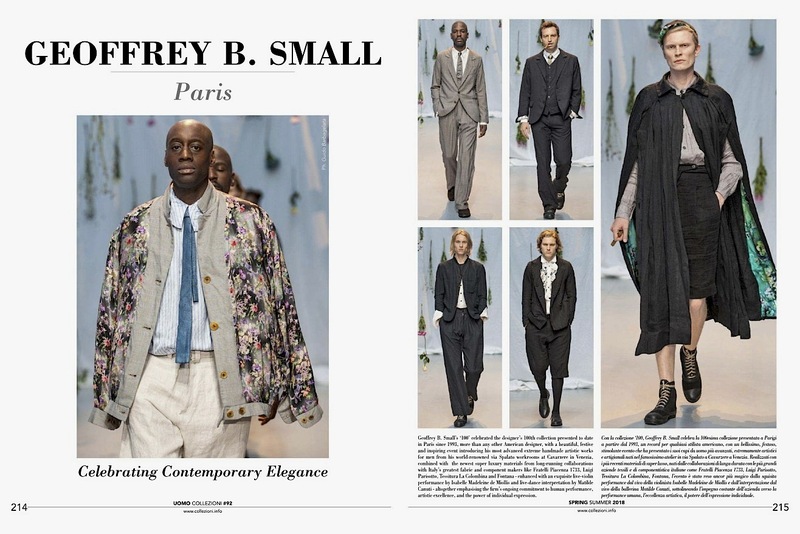 Beautiful coverage in Uomo Collezioni Magazine by Editor in Chief Alessandro Ferrari of "100"... our 100th collection presented in Paris, now arriving at exclusive GBS men's dealers worldwide. 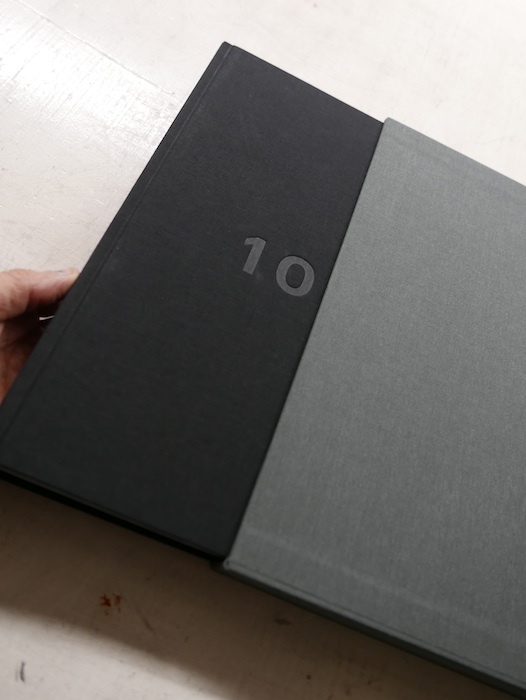 "100" is also the subject of a new ultra-limited edition art and design book photographed by legendary Japanese fashion editor and photographer Toru Kitahara, coming out this month. 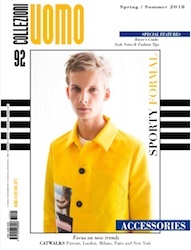 Collezioni magazine has been published in Italy since 1982 and is the industry's leading international runway coverage print publication. As a relatively new and inexperienced SZ user, I am also very passionate about self-education and absorbing as much knowledge as possible. To clarify, is there any other area besides this forum and the Seasonal Collections where I could indulge myself in your work? I have a lot of respect for your label and its ideologies, and as a brand I consider "on my personal radar" I would love to learn more. 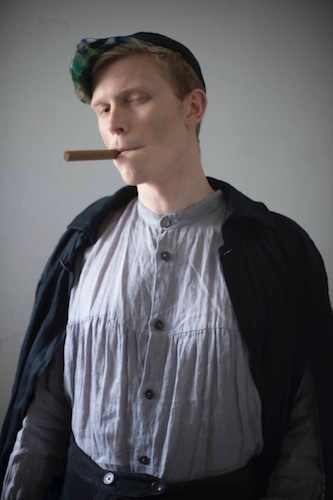 I plan to go to Atelier NYC to view your works some point soon; however, until then I would like to learn more online. One last thing, sorry if this post sounds like I work as a paparazzi. To put it simply, I discovered your work a few months ago and would just like to know more about your work before my trip to Atelier. This said, your Atelier visit should be great: I bet they will be happy to talk to you about it. there is quite a bit on youtube and vimeo in different channels and places as well for video, plus there is always something coming up on search engines. We have no single person yet focused on organizing and putting together these things in our firm yet, so you will just have to have some patience. Hope this helps, and thanks again for putting us on your radar list, hope you have a great visit at Atelier. 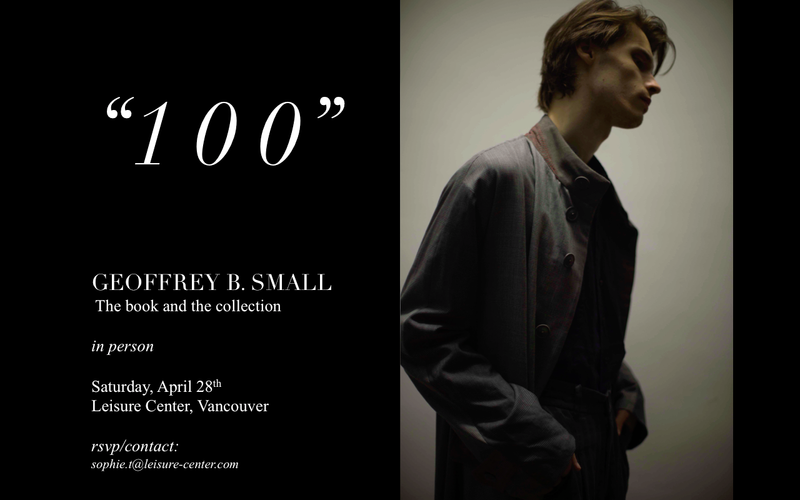 WE ARE very pleased to inform our readers on SZ that we will make a special one-day personal appearance on Saturday, April 28th at the new Leisure Center store in Vancouver Canada to personally introduce our first book and our 100th collection presented in Paris. 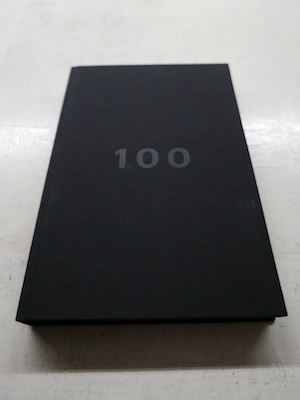 The new book entitled "100" was photographed by legendary Japanese fashion editor and photographer Toru Kitahara to commemorate our100th Paris collection with an extreme super limited collector’s edition print run of only 100 copies… printed and handbound in Italy, each hand-signed and numbered to ensure maximum collector's value over time. 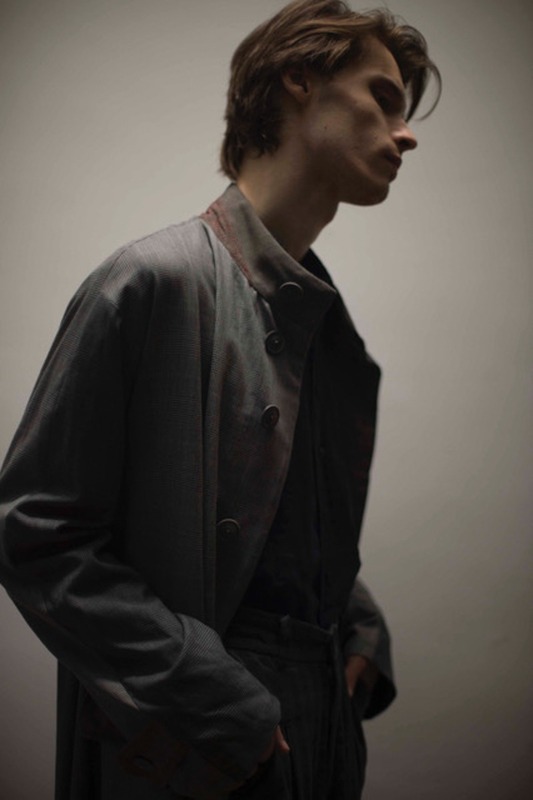 Kitahara shot the collection on the same day just before the historic Paris show took place uniquely capturing the beauty, emotion and elegance of both the models and the collection in a photo essay that represents a master work which we believe will truly stand the test of time. The stunning new design book was just recently introduced to the trade in Paris during the women's fashion week and marks the firm's first official book publishing project. Currently, more than three-fourths of the collector's print editions are spoken for and the beautifully shot and handcrafted publication matches the level of excellence required in all our design work and is expected to sell-out quickly and rise in value over time. 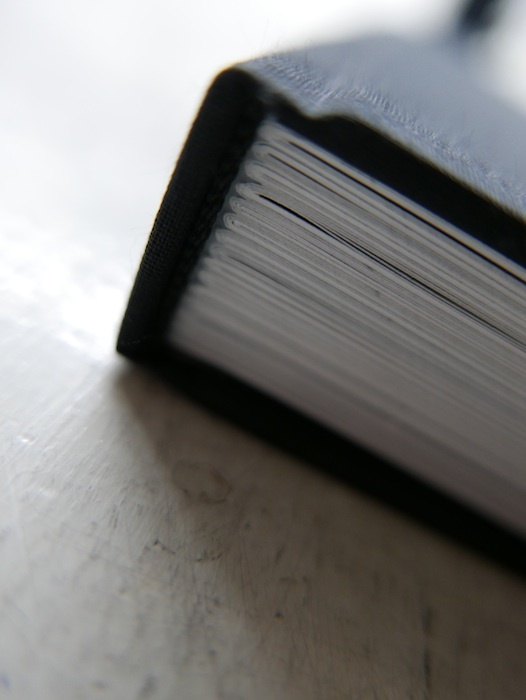 It is important to note that we believe our books need to achieve the same levels of design excellence and artistic beauty as our clothing, footwear and accessories, and after years of research, negotiations and study into the field, we decided not to do our books with any outside publishing/distribution or company such as Rizzoli, Steidl, Taschen or others. 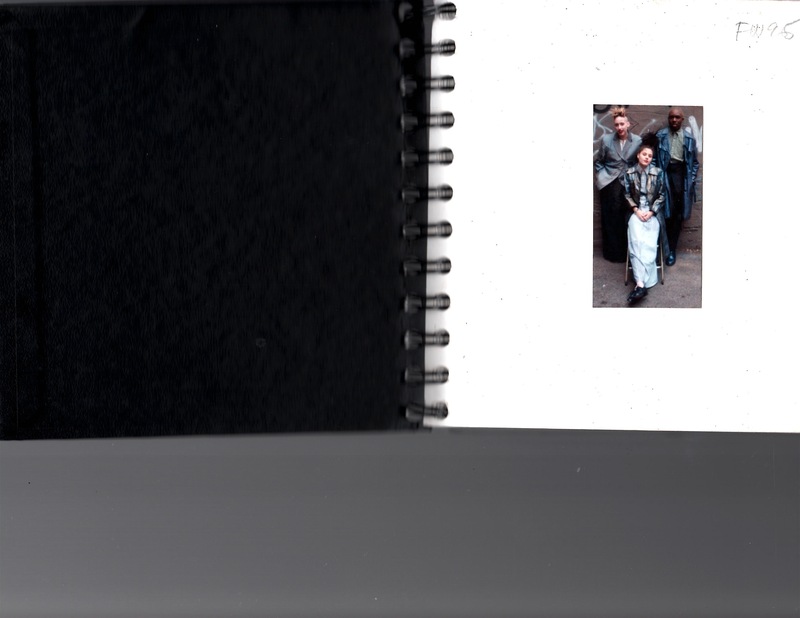 Instead, we have begun our own in-house publishing operation like our clothing, where we are able to control every aspect of the bookmaking process and content including the physical aspects of the publications themselves and of course retain 100% ownership of the intellectual and artistic materials and property rights contained within them. We feel strongly that our first endeavour into this medium has more than adequately met our commitment and our expectations. 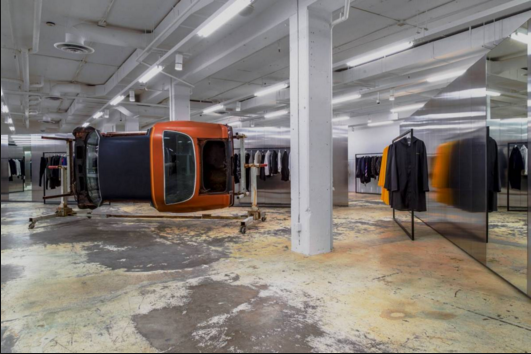 LEISURE CENTER is a new lifestyle design concept store in Vancouver Canada designed by world-class London architects Casper Mueller Kneer (CMK) and is founded and directed by Mason Wu and MuYun Li. 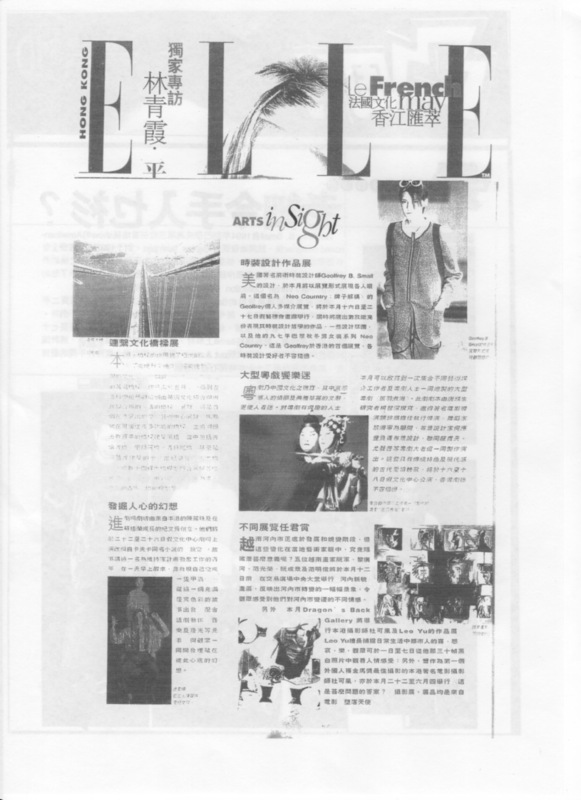 The stunning 20,000 square foot space executed in a 1930's heritage building in the city's center is reinventing the merging of Fashion and Art in one of the world's fastest growing luxury markets and was just recently covered by Eugene Rabkin in SZ-mag after hosting an event with London designer Yang Li. 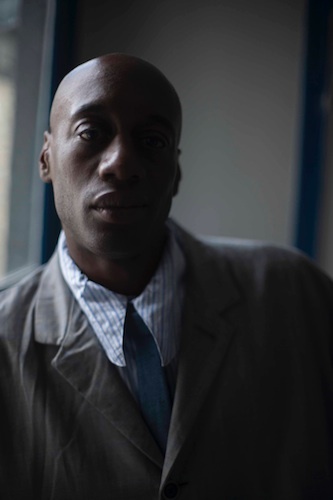 Former LNCC-London store founder John Skelton also served as a consultant to the new concept store during its development. Leisure Center has reserved 12 copies of the collector's print editions which I will be signing during my visit on the 28th. An extensive selection from the new clothing collection for spring/summer 2018 is also now just arrived at the store, where I will be on hand to discuss both the book and the collection with visitors, customers and guests. You can contact Sophie Tang (sophie.t@leisure-center.com) to reserve a book, rsvp or get more information on the event. If SZ readers are in the area, we look forward to seeing you on the 28th. 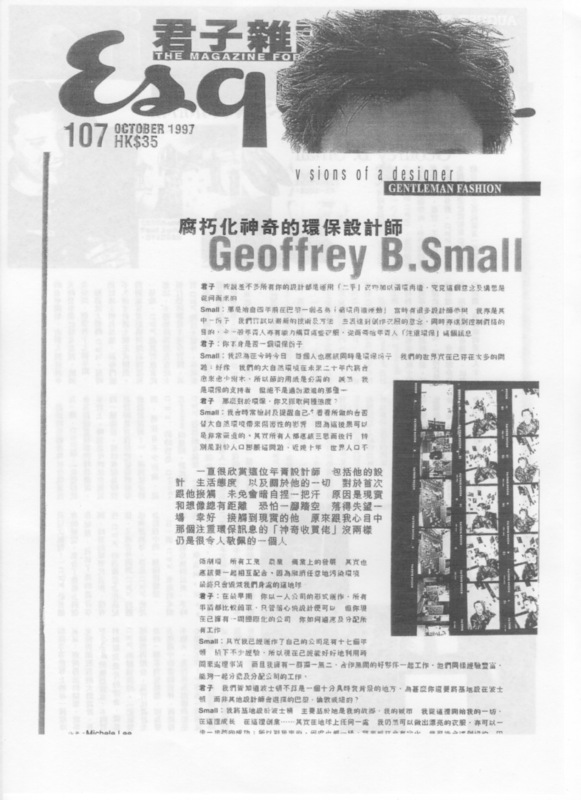 Very much looking forward to this Mr. Small, thanks for sharing! Any info on either of these? Season etc. Why dont u just ask the seller? Thank you Mojo1990, there is quite a bit up now on the seasonal thread (including video) with many thanks to Ahimsa and Faust. 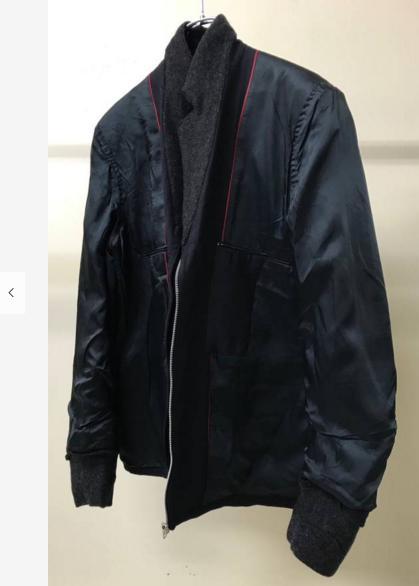 Since our last post, we have researched the 2 pieces you asked about on grailed.com, and have been able to run down some additional information on the designs. Let's start with the first one, a superb example of an F94J03 reversible inside out recycle vintage remake piece with special contrast intarsia stitching work on the lapels (a form of drawing free-hand using a sewing machine which we pioneered and became quite famous for), adjustable-fitting ties (to accommodate across 2-3 size ranges with the same garment), and exposed assymetric overlock stitching details. This design was first introduced in Paris in March 1994 at our very first Paris fashion show "Typical American" in a small room at the Hotel InterContinental in the plush 1st Arrondisement. We chose this venue specifically as an homage to Rei Kawakubo who had done her first Paris show to a tiny group of people some 13 years previous in the same hotel as well. 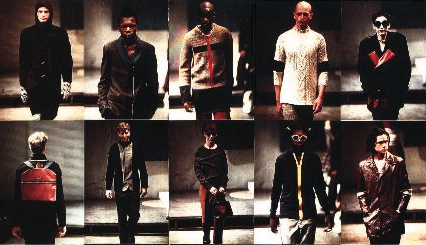 As we were the very first designers to come over from our country and try to present a true avant-garde design collection in Paris with no idea of what would happen (you need to understand Paris did not like American designers back in those days, indeed they hated them)--we felt strong affinity and inspiration for people like herself, Yohji, Helmut and the first-generation Belgians. 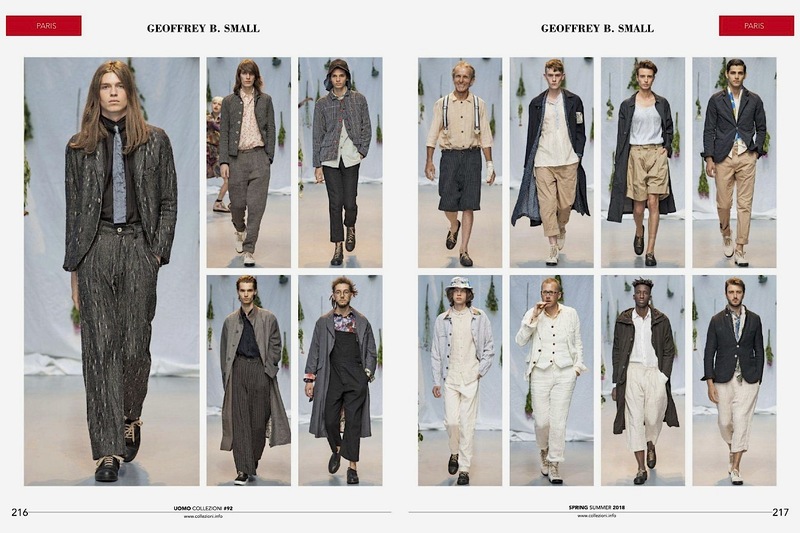 Each had come to Paris from their own home countries oftentimes ignored or spit on by those from whence they came, with a vision and a commitment to place their names, their work, and where they came from on the map of the capitol of fashion. 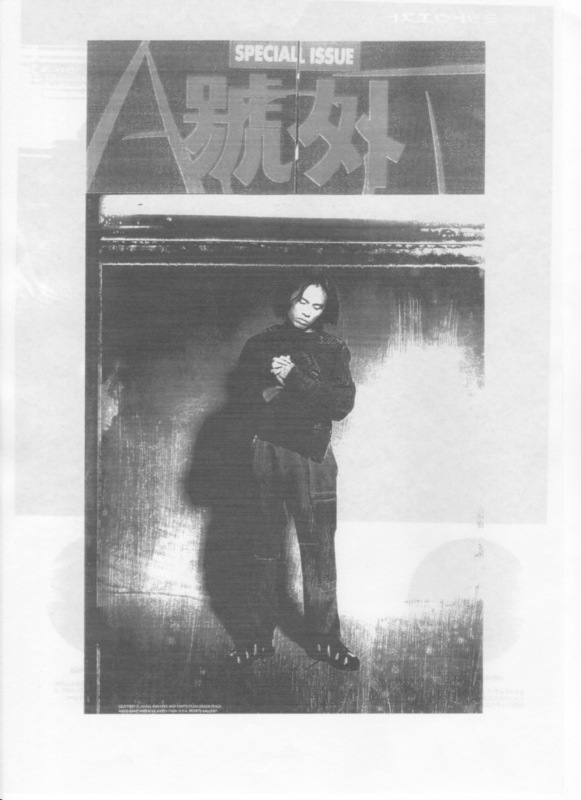 For us, Rei was one of the very first and most courageous of these pioneers, and we had been inspired by her path--and success or fail in our case--we felt it was our destiny to present our first works in Paris in the same place that the Kawakubo had shown CDG for the first time, before anybody had any idea who she was. Nobody knew who we were either in 1994, and we did not make a big deal or talk about the reason for our venue choice to anyone at the time. Perhaps it would bring us a little bit of luck, and if we ever amounted to anything years later, those who knew their history might understand a little something. 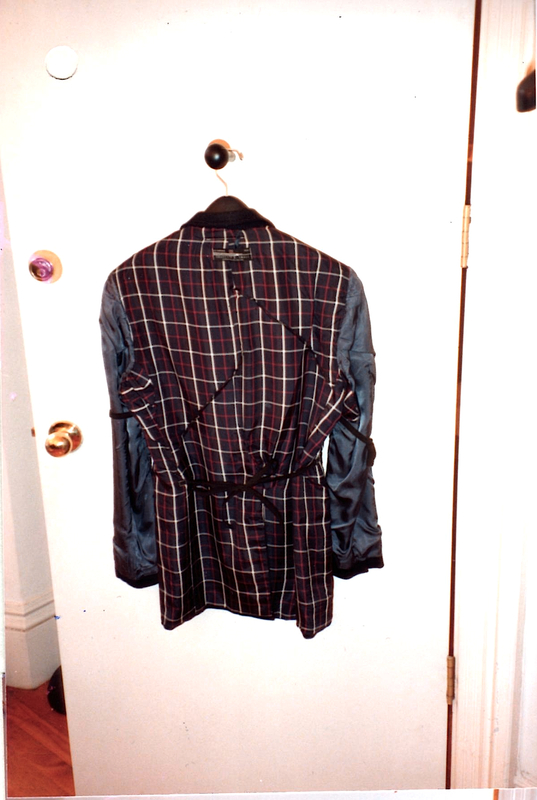 All this, is part of the story of the jacket design. 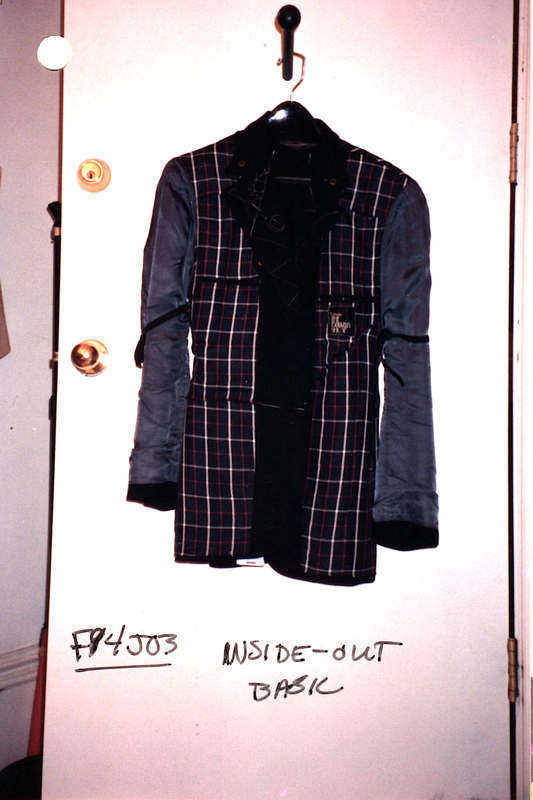 The F94J03 was designed to be worn inside out or right side out as part of our concept for the collection which we called "metamorphosis" (a term and concept used over and over after us by an endless number of designers and brands, but we were the first) and special care was taken to make sure the linings offered some additional character for inside-out use. 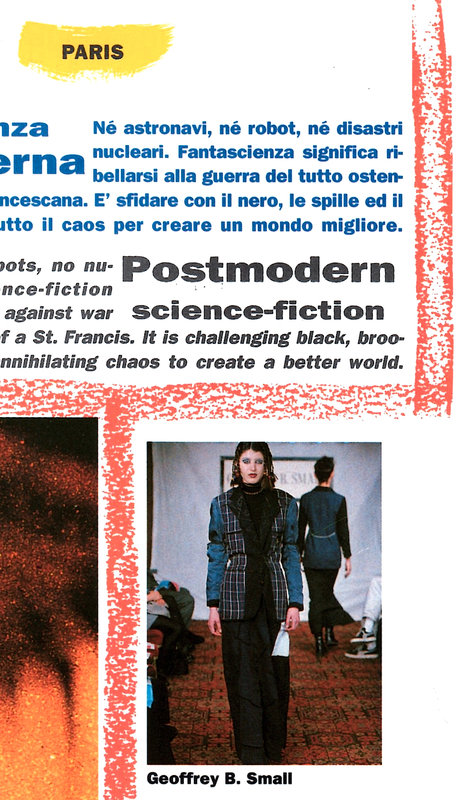 I do remind readers that this was cutting-edge research work when we were doing it, albeit today after all the recent new-wave upcycler and vetement-ish collections, it may seem mundane. 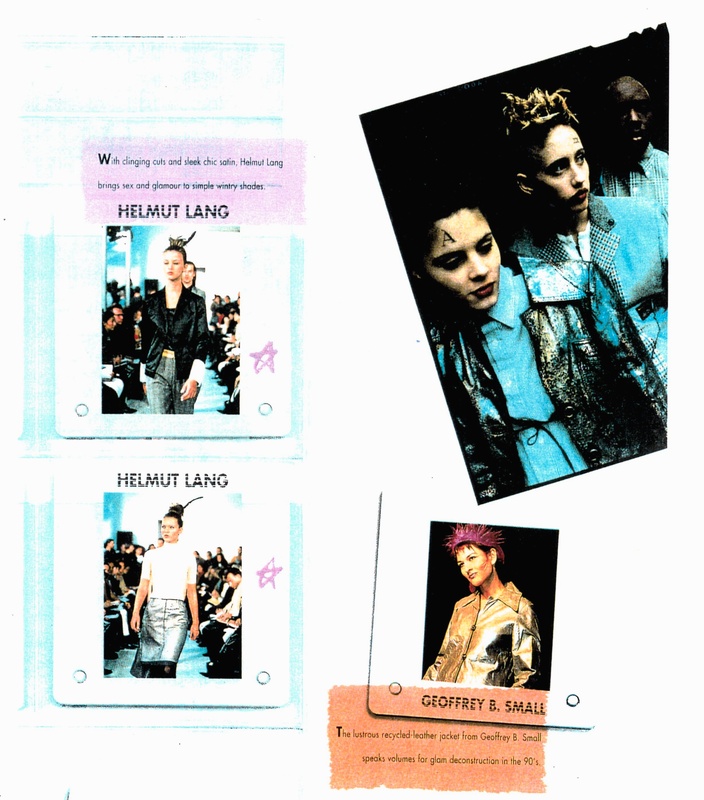 When we were first introducing these ideas at that time, nobody in the world was doing them yet in this way, and we are talking about over twenty-four years ago (Demna would have been 13-years old at that time). 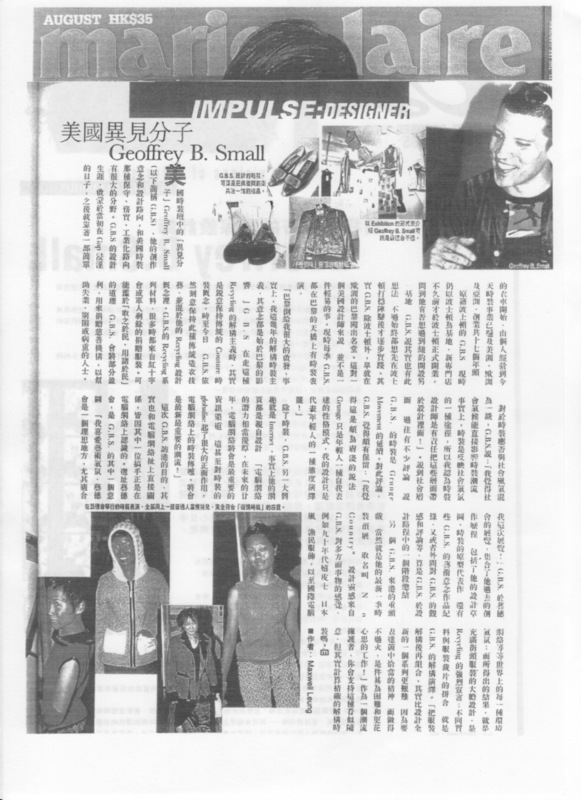 We stand on the merits of our work, and the piece, which by the way is well undervalued at the current price on grailed and should be priced higher as it is a rare all dark piece probably made for the legendary Mr. Osawa of Midwest in Japan during its legendary years when they had only one store on the outskirts of Nagoya. 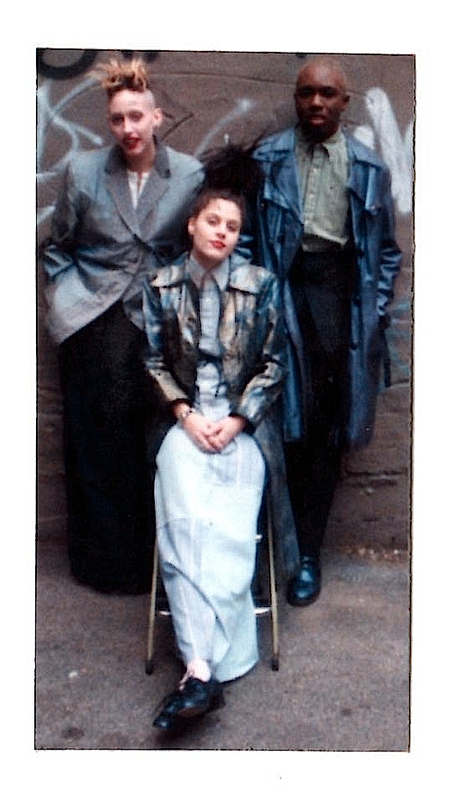 Every GBS piece was a one-of-a-kind back then, because it was based upon an existing vintage article of clothing. I remember buying every single piece myself, like a serious chef working the markets for the freshest and the best ingredients to put on his table each day... I would go all over Boston and then later New England and New York searching, finding and buying the best used clothes to use for our recycle design pieces. I controlled and looked at everything: the fabric, the construction, the labeling, the buttons, the condition, everything--at that time, you would have been shocked to see what Americans were throwing away in those days. 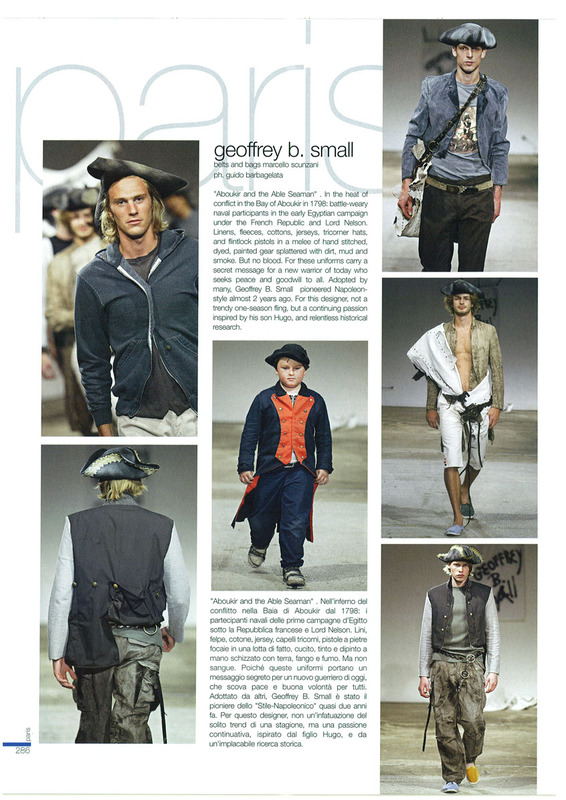 Women's Wear Daily (WWD) ran a big story on us in the U.S. a few weeks after our first Paris show. At the time, it had a mafia-like lock on the industry, it was New York based all the way and the only trade paper in the business (long before BoF usurped its role digitally) for all of North America. Being just a tiny little tailoring business in Boston that had been ignored by them for a decade and a half, we were shocked that all of a sudden they wanted to write anything about us. 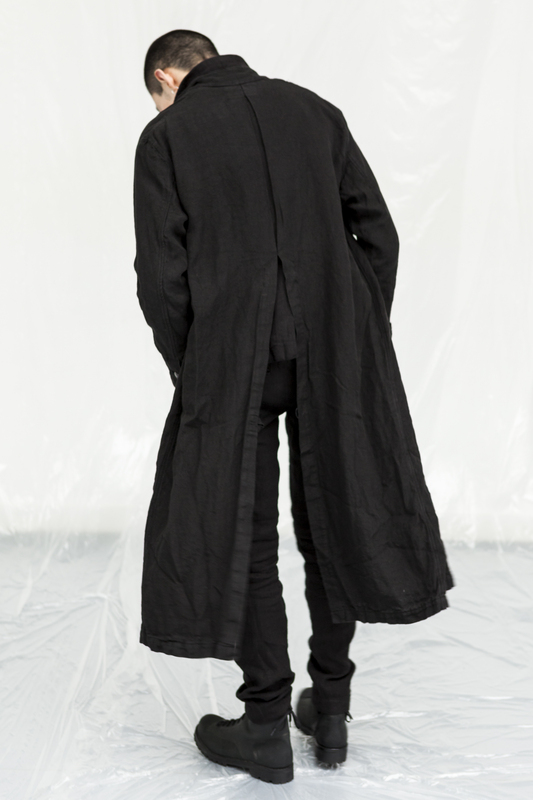 They asked for some prototypes from the collection just shown in Paris including the F94J03 jacket sample to shoot some editorial to accompany the story. 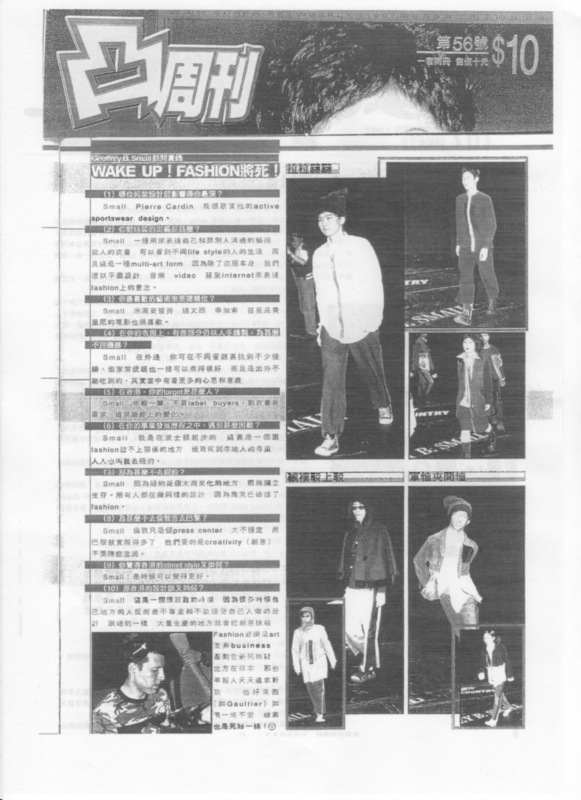 We were glad to do so (and you did not say no to WWD in those days), but were not really crazy about the photos when the story came out and we saw them. 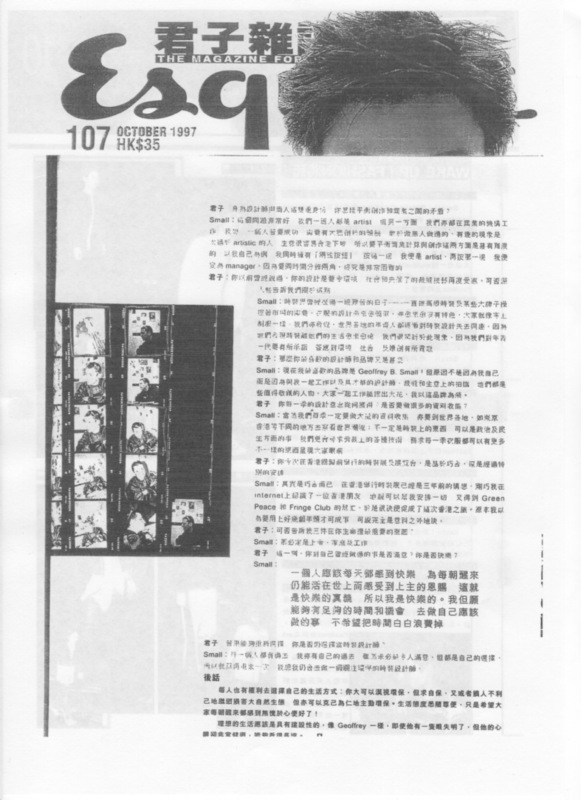 Nevertheless, we found the tearsheet in our archives and the story reprint is provided here below. -- for those of you following us these days, remember that we are now working on our 105th collection to be presented in Paris in September. So no doubt it is always a little head-spinning for us to think about and look back to these early days and designs in our Paris collection work. We hope this is helpful and informative. 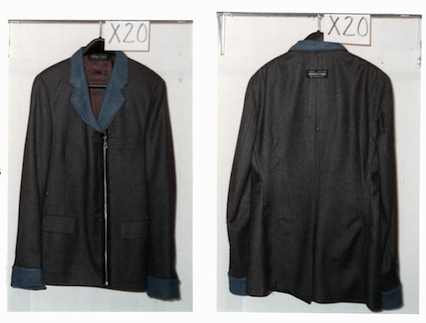 We will post our findings on the 2nd jacket next. Last edited by Geoffrey B. Small; 07-15-2018 at 05:06 PM. wow, fantastic information from the archives Geoffrey! I really love your reference of a chef picking the right ingredients, it indeed is a work of art and a magnificent true love for the craft in the way in which you and your team create. Every piece even then had so much character. A lot of these new designers claim to be the ones innovating, but hence why I truly believe they will not have longevity in the industry. Also, I really love the fact that Erica, Cookie, and Reilly were involved in the production and the creation of the garments. It makes the pieces so much more personal and i can see from the beautiful imagery that they wore these pieces with pride and love. Thank you for sharing the archives! Keep em coming! We hope that people will begin to see beyond the superficial surface of things and understand that there is far more to a design than just the way it looks on the outside. If there is any serious interest out there, we may have video footage of the Paris show in our archive storage in the US. But it will take some digging to know for sure. Let us know. 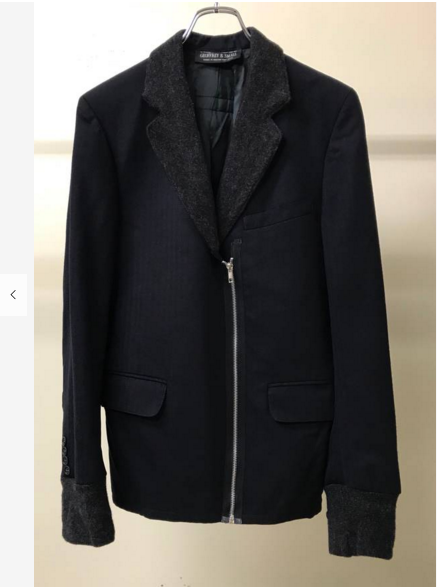 The X20 piece on grailed.com, like the F94J03 is probably with its black and charcoal combination, a production piece done for Midwest in Japan for their AW1997 delivery. 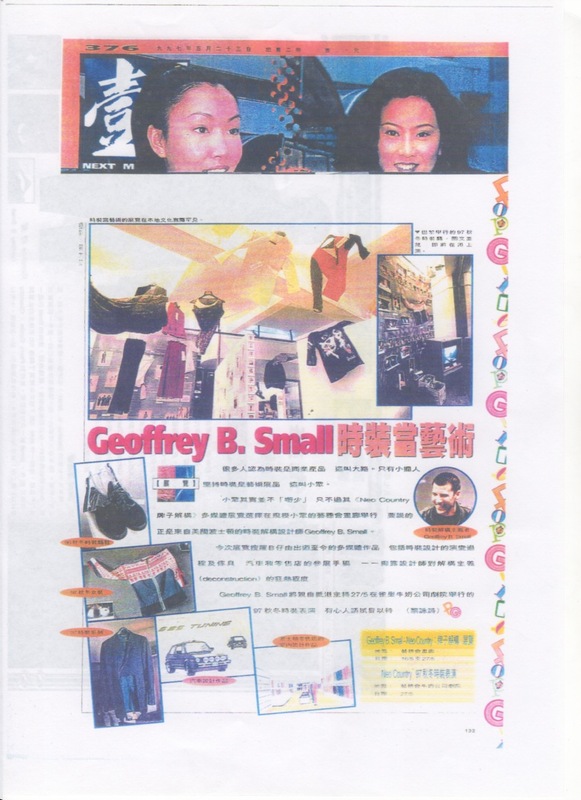 At that time, they were operating stores in Nagoya and Shibuya Parco and were without a doubt under the leadership of their founder Masaru Osawa, the most important and the most powerful independent designer retailer in all of Japan. 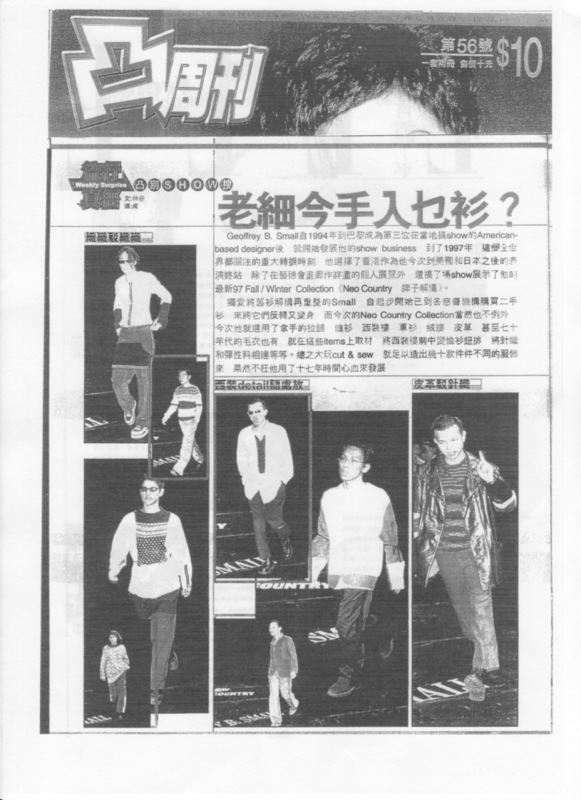 And believe me, Japan was a very very big market for designer collections back then. Last edited by Geoffrey B. Small; 07-28-2018 at 02:34 PM. "Neo Country" in Paris was a wild and crazy collection and presentation, which went on to tour with other special shows in our home city of Boston, Toyama Japan, and Hong Kong along with a crazy 10-year retrospective exhibition of our work at the legendary Fringe Club Art Space which was held just before the China handover of the city from Great Britain. The HK event was a surprisingly huge media thing that was organized by the very creative independent music company founder Henry Kwok who ran the Sound Factory Records label (who I originally met on the internet during the world wide web's earliest days) and Sham Kar Wai the founder of Green Peace HK our clients at the time (now known as I.T.). Next up, if it's OK with all of you out there on SZ, we'd sort of like to return our thread discussion to things a little bit more current, like our amazing new collections for Autumn/Winter 2018, which now-- thanks to the extraordinary efforts of every single one of our 28-member workroom super team at Cavarzere Venezia, and our incredible GBS key suppliers-- are starting to arrive at our exclusive dealers around the world.